"Gastrointestinal Disease" is the first monograph in a new series on management and treatment in major clinical subspecialties and patient groups. Further volumes will be published over the next few years. Each book is complete in its own right. The whole series, however, has been prepared to fill a gap, perceived by the publisher, myself and the volume authors, between standard textbooks of medicine and therapeutics and research reviews, symposia and original articles in specialist fields. Each volume aims to provide a concise, up to date account of treatment in its subject area with particular reference to drug therapy. Traditional clinical and therapeutic approaches have been presented in the context of developments in clinical pharmacology. Wherever possible, authorship has been under- taken by practising clinicians who themselves have training and experience in clinical pharmacology. The volumes are intended to be guides to treatment, to assist in the choice of drug and other treatment and to provide easy references to drug interactions and adverse reactions. It is expected that these monographs will be particularly useful for the young hospital doctor in training for higher qualifications. However, they should also be valuable to or senior medical students and to those in established hospital general practice who are seeking to update their knowledge and to view recent developments in other fields in a balanced context. 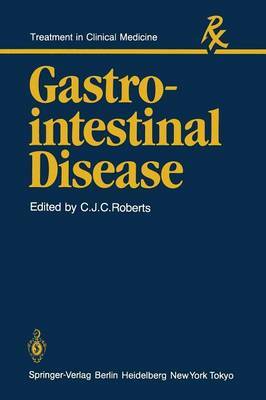 The aims of the series should be upheld by this volume on "Gastrointestinal Disease".